Choosing the right mortgage requires some research and careful budgeting. The most popular mortgage option might be the 30-year fixed-rate mortgage. However, some prospective home buyers might find that alternative options benefit them better. Two of the most important factors home buyers need to pay attention to when making a purchase are the down payment and the interest rate. VA loans are incredibly affordable in both these respects. While most mortgage products require buyers to either make a 20 percent down payment or purchase Private Mortgage Insurance, VA loans don’t require either. The initial financing cost is much less than a regular conventional loan, as fees associated with a VA loan are limited by the program. Additionally, according to The Mortgage Reports, VA loan interest rates have been the lowest on the market for more than two years. As of the third week of October, VA loan rates were 0.29 percent lower than the average conventional mortgage. While that might sound like a small difference at first, it adds up significantly over the course of a 15- or 30-year mortgage. Different families have different housing needs. Most active-service military buyers were married, had children living at home and the average age was 34 years old, according to research from the National Association of Realtors. For these people, a single-family home with several bedrooms to accommodate a growing family might be ideal. 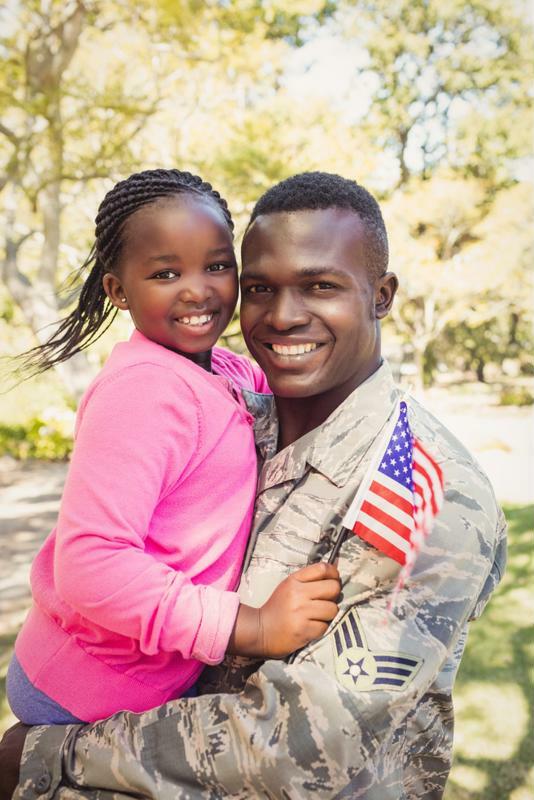 Many military home buyers are married with children living in their homes. However, for the 21 percent of active-service military buyers who were looking to house a multi-generational family, a bigger home might be more appropriate. Some homes are being built with separate entrances so grandparents living in the home can feel like they have their own space. Many veterans are taking advantage of the VA loan as well. More than 40 percent of this population is looking for senior housing. VA loans are versatile, and can be used to find single-family homes, multigenerational homes, senior living arrangements or to build a whole new home from scratch. As long as it’s the primary residence and meets certain requirements, a VA loan can be used. To learn more about using a VA loan for a home purchase, talk to the experts at Lenox/WesLend Financial or call 844-225-3669. As heard on the radio, it’s the biggest no-brainer in the history of mankind.